This excellent mid terrace property is located just off Ravenhill Avenue in a popular residential area. Benefitting from spacious acccommodation throughout , gas central heating and double glazing this two bedroom property is certain to be of interest to investors and first time buyers alike and viewing is highly recommended. Range of high and low level units with marble effect worktops. Stainless steel sink with drainer. Plumbed for washing machine. Access to rear. 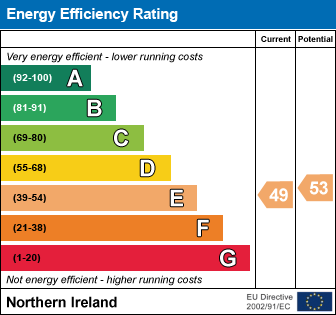 I am interested in 104 Rosebery Road, Belfast. Please contact me about this property.